This was a unique roofing project in that we completely custom designed and hand made the entire roof structure for the owner. Components included the rafters, 2” x 6” Douglas Fir tongue and groove interior ceiling, 3” thick R-Max roof insulation, 5/8” plywood sheathing, all new 2” x 14”clear redwood fascia boards and a complete Copper Bermuda panel- style roofing system. Dority Roofing fully designed, engineered and installed the roofing system. 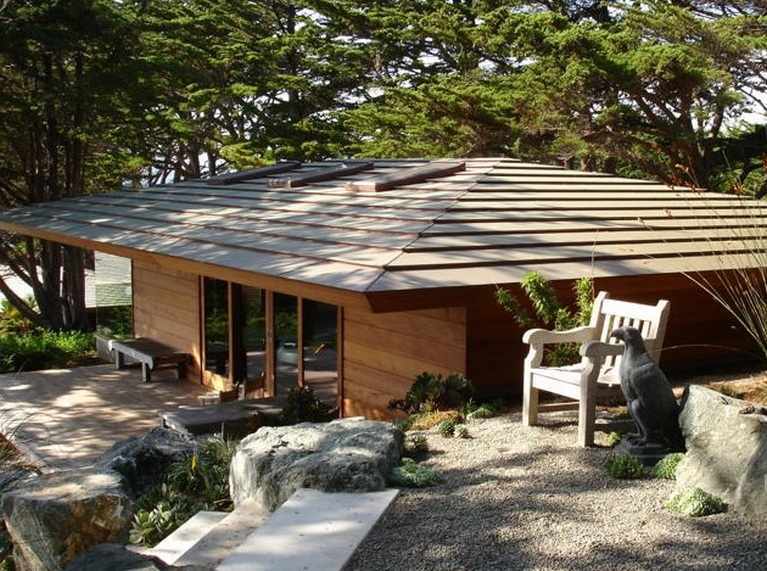 The roof design was inspired by a Frank Lloyd Wright – designed home that featured a similar copper Bermuda-style roof that the owner felt was the perfect fit for his project.